Sci-fi Painting and Modeling - Screamy-Killy goodness WIP paint job! Screamy-Killy goodness WIP paint job! Re: Screamy-Killy goodness WIP paint job! Plan is to work out whereabouts on the red to build up to a lighter red. On my termagant practice, the edges were lighter, but this lacks that kind of edging, so I'll be more creative. The grey will ALL have a really really really watered down black wash, just like the test piece, too. Well, I'm tempted to be boring. 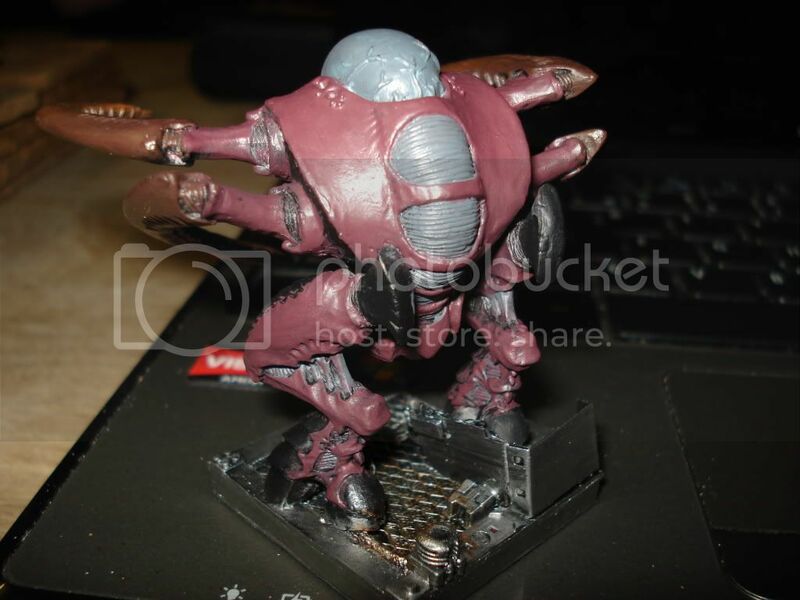 The colours are similar to one of the offshoots of Hive Fleet Behemoth. I can't wait to start feeding your Space Marine Squads to it! It will have its arse handed to it by men far angrier! Hey I enjoying seeing those pictures. It's looking sweet! 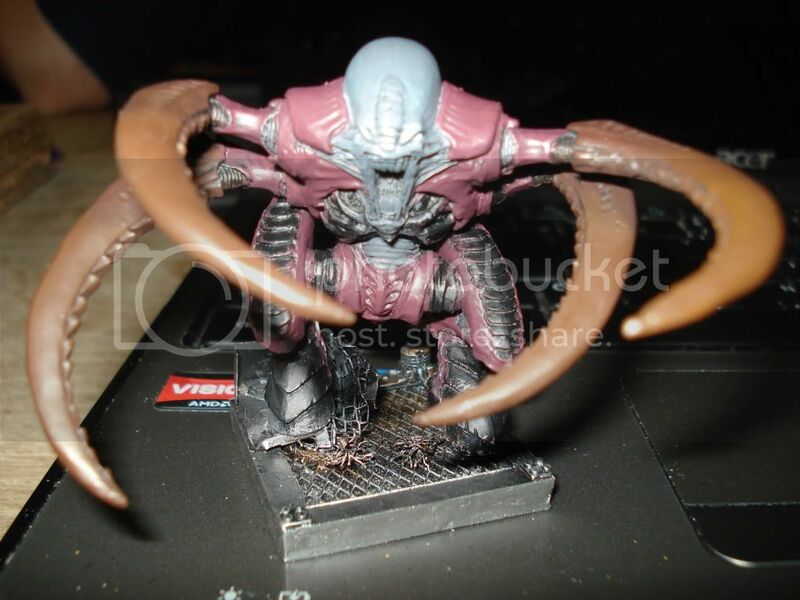 The best version of a carnifex that GW produced in my opinion, at least this didn't look like 'just another Alien' rip off! Yesss! Great paint-job and color scheme, the decoration of the base rulez.